Octofollowers, we once again need your help. In conjunction with friend of Octopoda, Jennifer, we are attempting to highlight the plight of someone special who needs all our help and that is Arjun and his family. 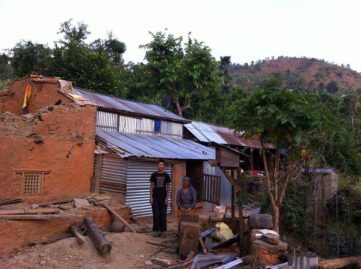 Their home was badly damaged by an earthquake and Jennifer is raising money to build an earthquake resistant home for them all. A little extract from Jennifer’s blog…. As some of you know, recently I was in Nepal to do some trekking. Whilst on my trek, I was lucky enough to have a guide who, over the three weeks we were walking together, became a friend of mine. 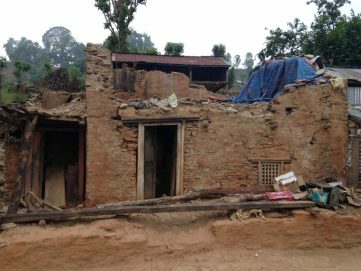 When the trek had come to an end and we had returned to Kathmandu, I was invited to his family home, a remote village tucked away somewhere in the District of Dhading. Of course I eagerly accepted his offer. Having met many of his family members in Kathmandu already; aunts, uncles, cousins, it seemed only fitting to be able to visit their village home. The bus journey there was a lengthy one and took me through valley’s, farm lands and villages, the devastation from the 2015 earthquake was still very much apparent throughout. Piles of rubble where a building once stood, cracks in homes, entire sides of houses missing. Then we arrived at our destination…. 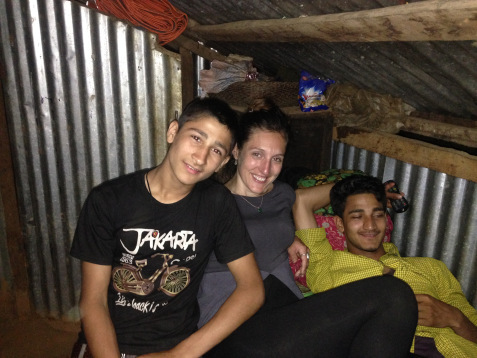 Most importantly as well if you can help by making a donation, no matter how small, this will go towards helping Arjun and his family live an amazing and secure life in a new home. To do so we ask that you just click here. Thank you OctoFollowers and we’ll be keeping you updated as to how the appeal is going.